In the outdoor complex is a swimming pool, a children's paddling pool and a poolside snack bar. 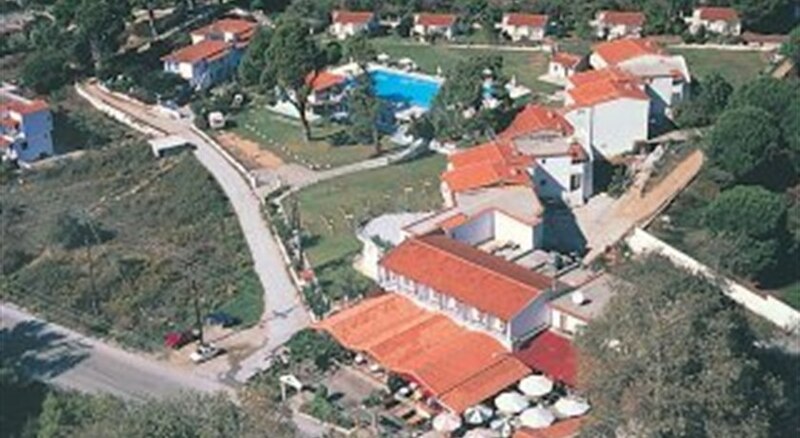 The hotel is ideal for families and couples seeking a peaceful, relaxing holiday venue, as well as for those wishing to be close to the nightlife scene of Skiathos. The air-conditioned club resort comprises 63 rooms and facilities include a foyer, a safe, a selection of shops, a bar, a TV room and a restaurant. Those arriving by car may make use of the car park.The air conditioning is individually adjustable and operates from July to August.The rooms offer private facilities and each feature a bathroom with a hairdryer, a direct dial telephone, satellite TV and a small fridge. The air conditioning is individually adjustable.